Tohi Ventures, a Kansas City-based (US) healthy lifestyle brand, has introduced a line of four Aronia Berry-based functional beverages. 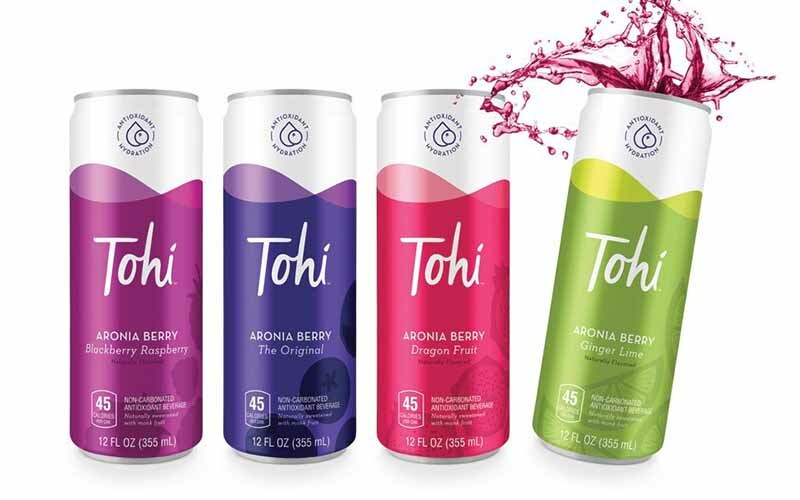 Tohi beverages are 30 % single strength Aronia Berry juice and 70 % hydration, available in four refreshing flavors: The Original, Blackberry Raspberry, Dragon Fruit and Ginger Lime. Tohi is non-carbonated and naturally low in calories, with no added sugars and just a hint of Monk Fruit for sweetness. Tohi beverages are packaged in eco-friendly, 12-ounce slim aluminum cans, available for purchase on Amazon.